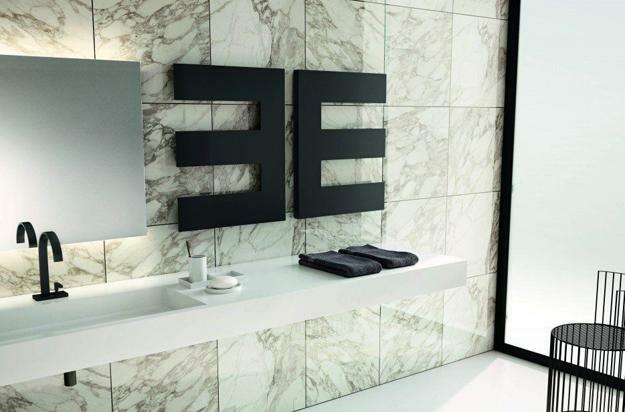 Modern bathroom accessories add chic style to room design. 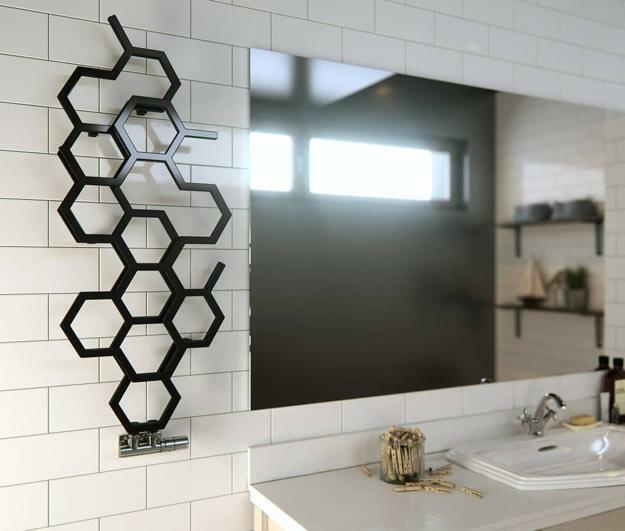 Buying a contemporary towel rack beautifies even a small bathroom with a new feature that makes an excellent wall decoration. 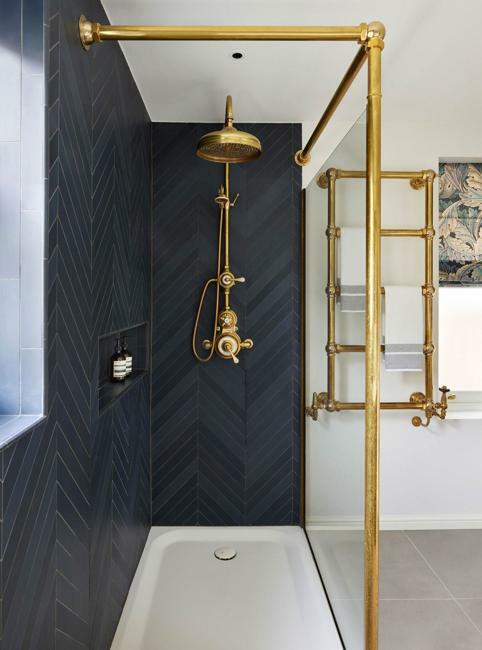 Before bathroom remodeling, think of the finishing touches also. 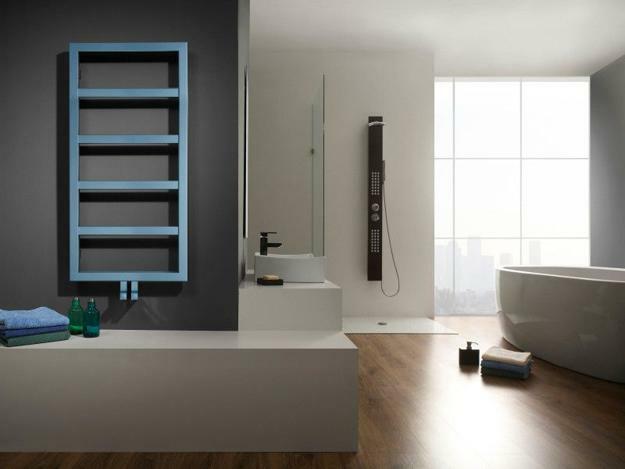 A sizeable wall-mounted towel rack requires some space in your new bathroom. 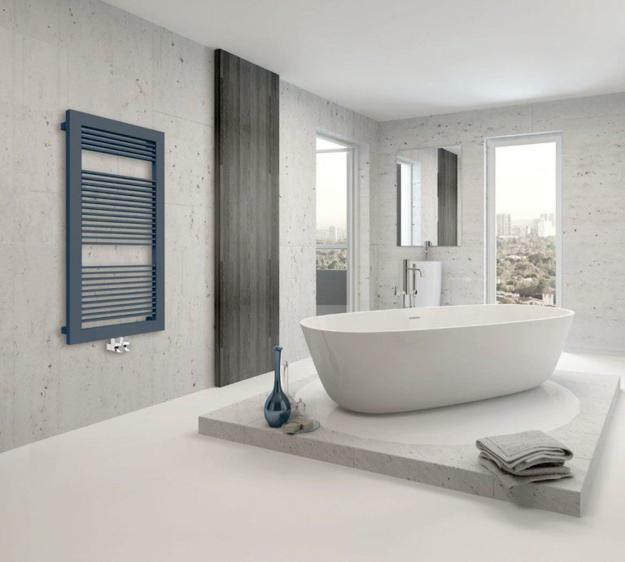 You need to consider the color and material which will enhance your new bathroom design. 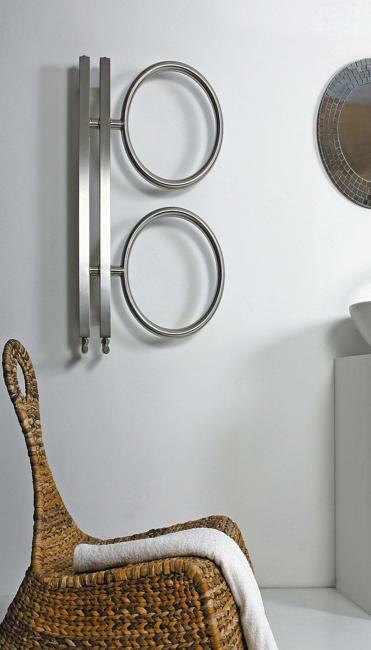 A towel rack should match other bathroom fixtures and strengthen your new modern design. 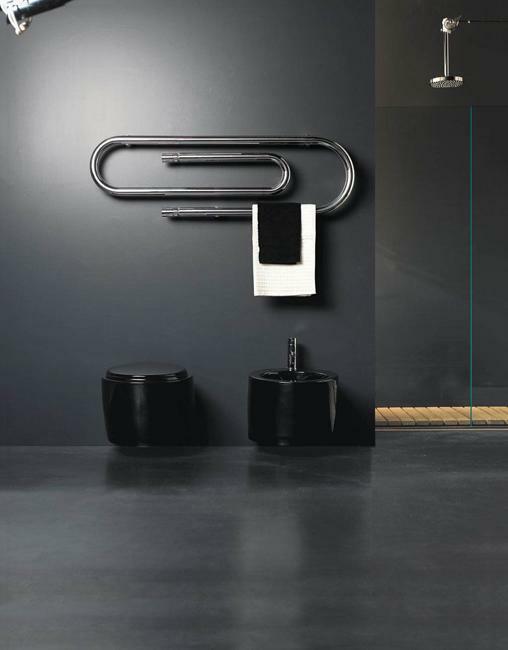 Modern towel racks reflect the design trends that blend the originality and functionality. 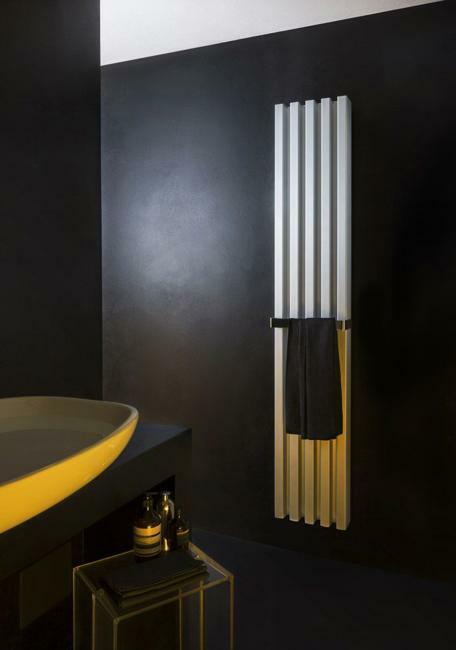 A stylish towel rack and a heater for your bathroom can be much more than just metal bars. 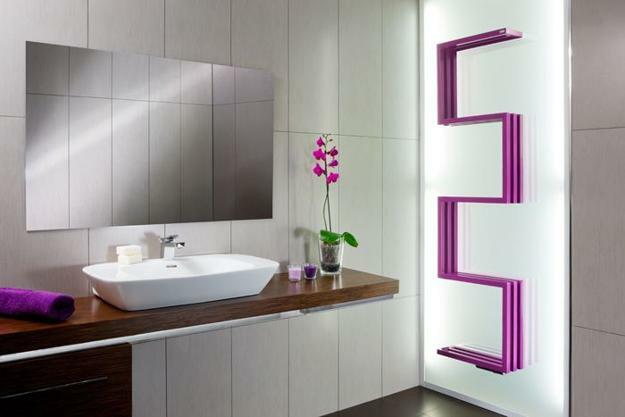 A modern towel rack is a fabulous wall decoration. 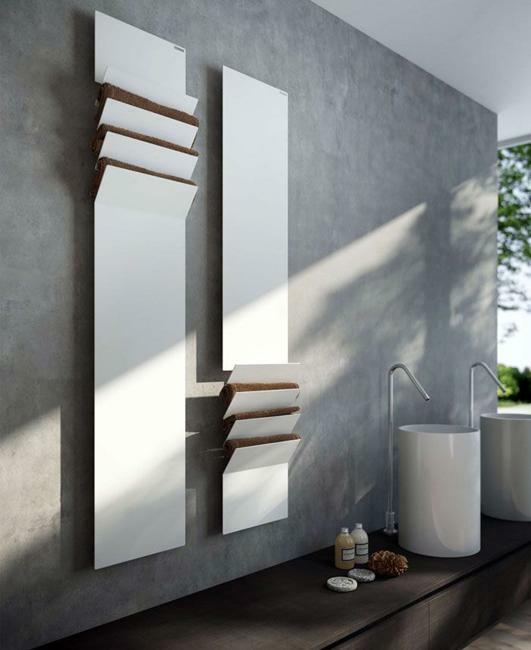 A contemporary unit is wall-mounted and features a beautiful design. 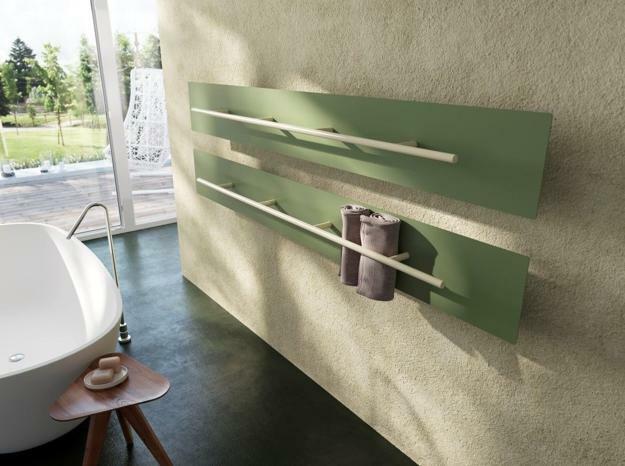 Contemporary towel racks incorporate a room heater, a shelf, and a bar for drying towels. 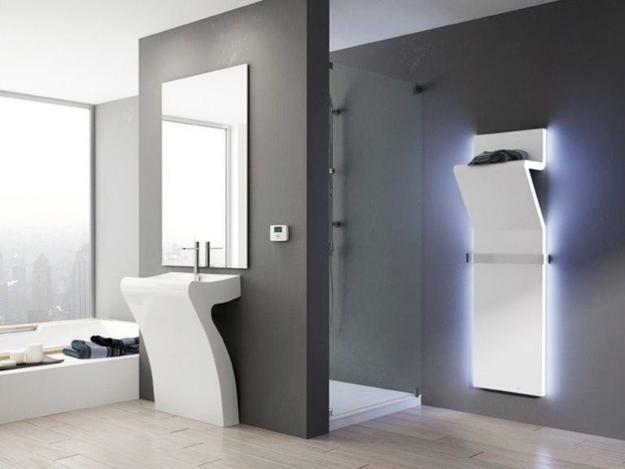 Think if you need a small or large model and where you will store extra towels in your bathroom. 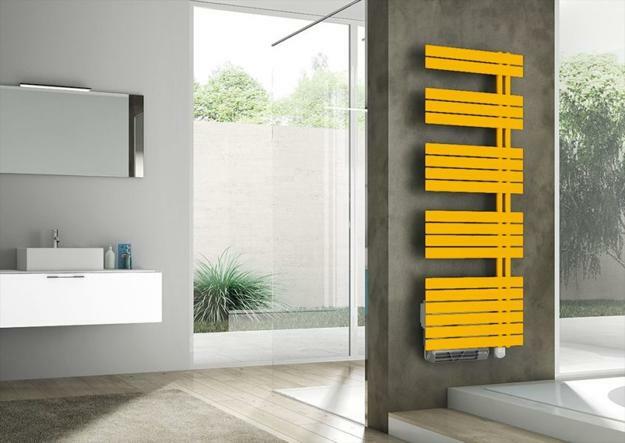 Contemporary towel racks and room heaters look beautiful and offer functional design. 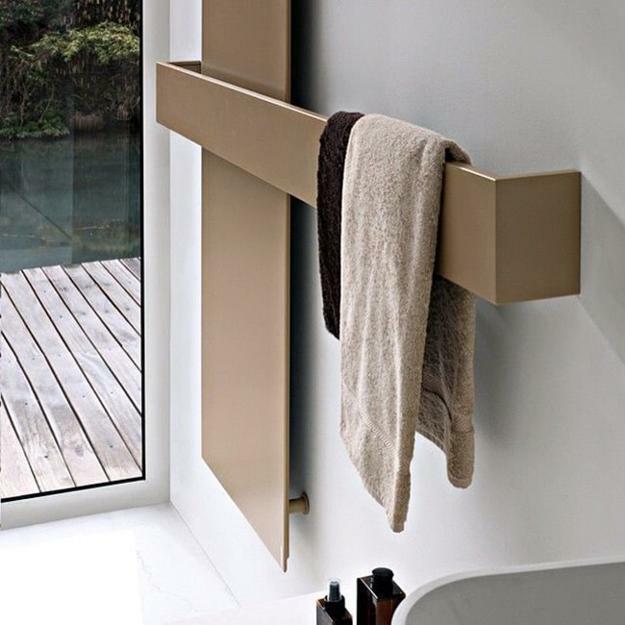 The placement is another important consideration when selecting a towel rack for your bathroom. 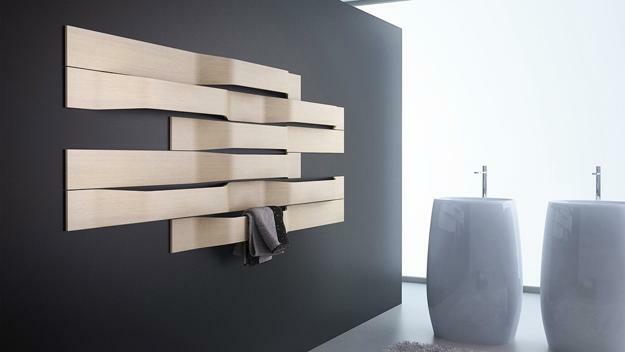 A sizeable wall-mounted rack looks dramatic and provides the perfect wall decoration for spacious bathrooms. 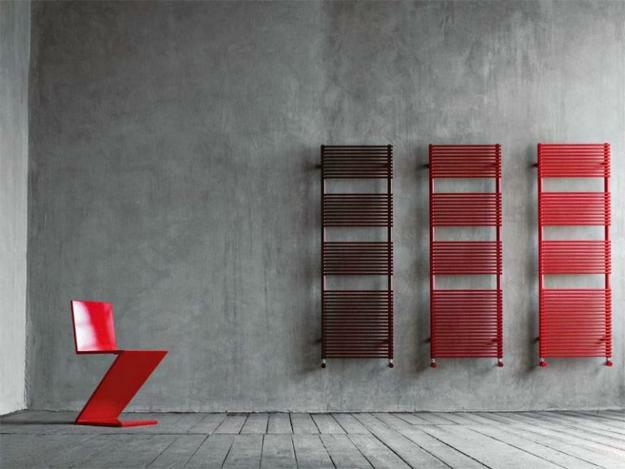 Wall racks and room heaters can be weighty and require lots of space on the wall. 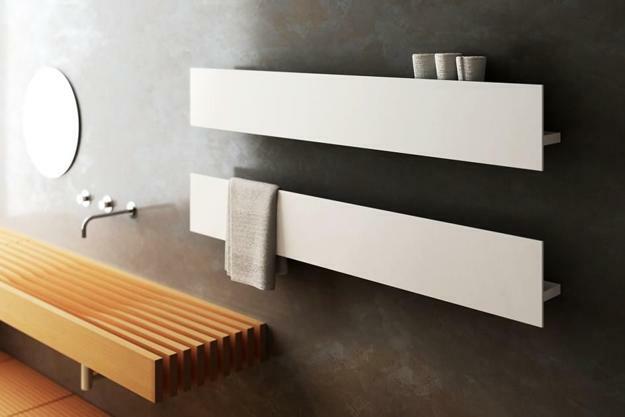 Small towel racks are ideal for decorating small bathroom interiors. Creating a combination of two frames allow decorating the small bathroom wall in an elegant and beautiful style. When choosing a towel rack, pay attention to the material. Metal racks are durable and attractive. 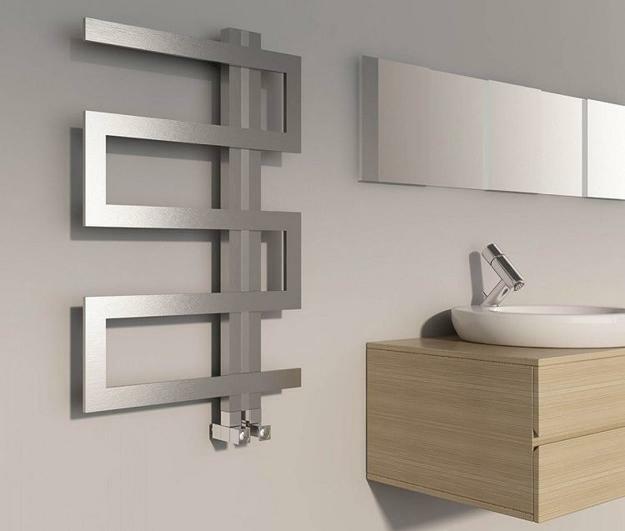 Contemporary towel racks and room heaters made of metal create the clean look while adding sleek designs to modern bathrooms. 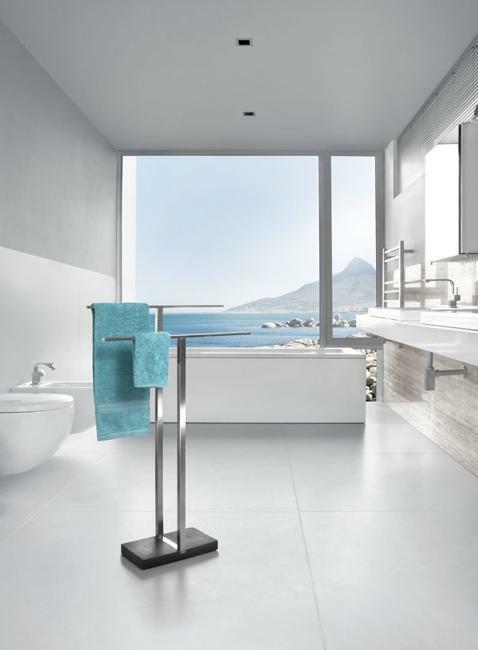 As bathroom designs are meant to look clutter-free, clean, and functional, the contemporary towel racks are ideal for decorating these rooms. Chrome, polished nickel, painted aluminum racks blend the durability and stylish look. 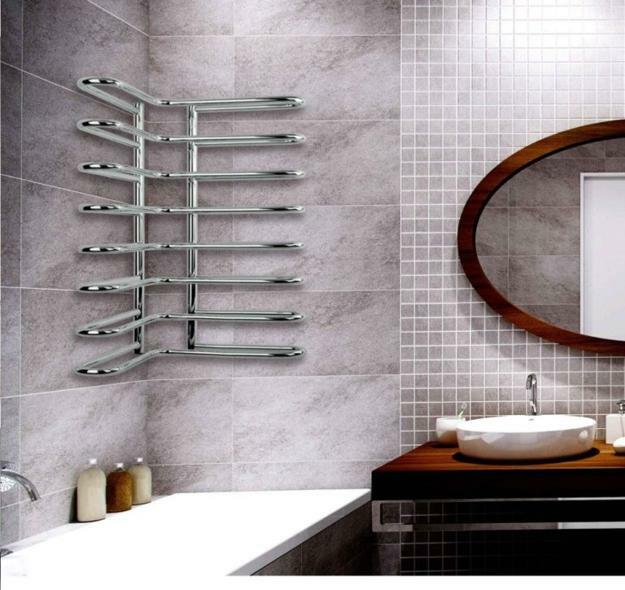 Metal room heaters and towel racks add a bit more class to small spaces and brighten up small bathroom interiors. 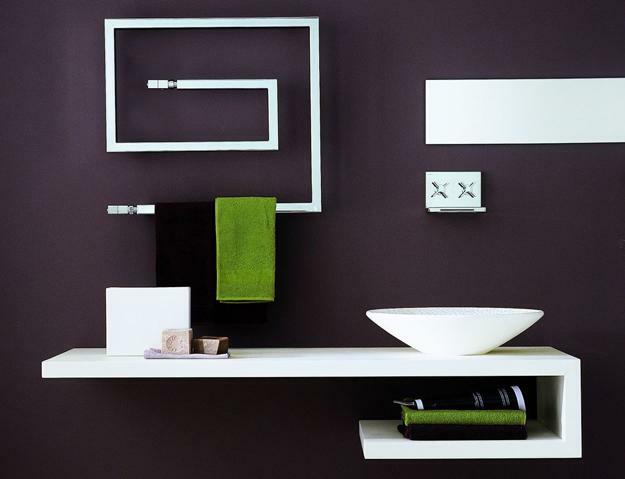 Bright paint colors are another way to give a contemporary vibe to bathroom designs. 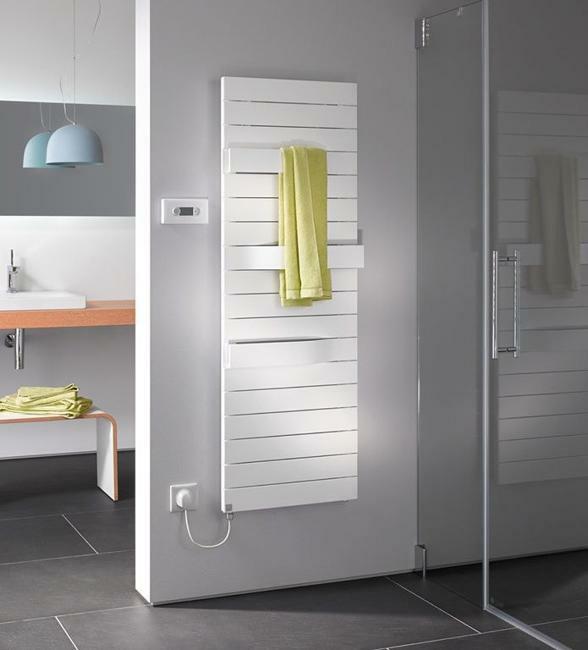 Selecting a towel rack and room heater in a modern, vibrant hue adds a playful mood to the interior design while creating an eye-catching accent and enhance beautiful bathroom decorating.